Maruti Suzuki has the change of strategies ever since the S-Cross crossover was launched inaugurating the premium Nexa dealerships. It had a slow getaway but the price slashing earlier this year meant it is having decent sales right now. The success of Nexa in majority depends on the customers’ affinity towards Baleno which further established the leading car maker in India’s venture into the premium segment as a good move. The sub-compact Vitara Brezza is another hit that can be cherished as Kenichi Ayukawa, MD & CEO of Maruti Suzuki told TOI that the brand will be focussing more on premium cars due to the buyers’ shift in perception of compact vehicles. With Maruti Suzuki making strategic leaps to change the brand value, it reassures dominance in the entry-level small car space every month. The key player in market Maruti boasts about is the Alto which received a facelift in May. However, the sales of the small hatchback have been under increased jeopardy since the entrance of the Renault’s ace product, the Kwid. The first eight months of current fiscal saw Alto’s sales declined by 7.4% and market share dropped from 50.9 percent to 42% between April and November courtesy of Renault Kwid grabbing 20% market share. 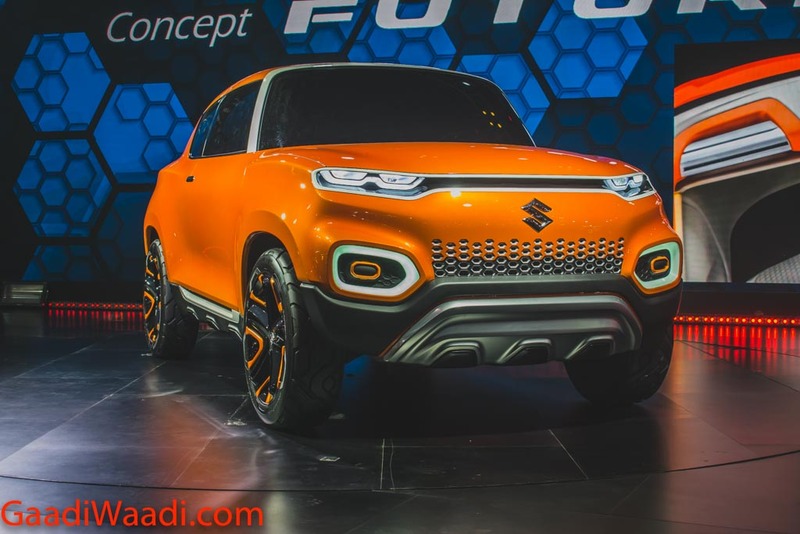 Maruti Suzuki will boost its portfolio of bigger cars and SUVs as it tries to expand beyond its traditional stronghold of small cars. However, the success of Renault Kwid does worry the country’s largest car maker and it has started work on an all-new version of best-seller Alto. Over the next three years, Rs. 2,000 crore will be pumped in at the R&D facility in Rohtak Haryana to increase its capability. Kenichi Ayukawa expressed his intentions to concentrate on premium segment while having an eye fixed on the new generation of the bestselling Alto to further catapult its sales. He earlier said, “We are planning a new-generation of Alto.” Codenamed Y1K, it is said to be developed on a new platform for complying with upcoming safety standards. Considering the last fiscal, the brand cumulatively sold in excess of 13 lakh cars with 1.2 lakh being shipped. The combined capability of the Gurgaon and Manesar plants stands at 15 lakh cars per annum and with the addition of a third working shift it will be expanded by 10 percent. Moreover, the production of new plant in Gujarat will start from next year as the company sets bar high at attaining 20 lakh cars by 2020. A new generation of the Alto will play a significant part in the expansion process we reckon.